Jordan Brand has been making waves with their Air Jordan 4 Retro lineup this year and another one is already making noise after being released recently. 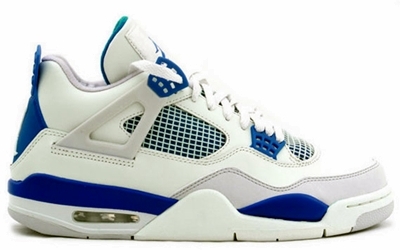 The Air Jordan 4 Retro “Military Blue”, which generated buzz after rumors came out earlier this year that it will be making a return, is now available. This White/Military Blue – Neutral Grey colorway of the kick last came out five years ago and also made waves during that time. Go get your own pair now!